Lion Lodge is the ultimate luxury escape and the first of its kind, worldwide. This 5* experience where guests are given the opportunity to sleep close to Port Lympne’s lions, is a dream come true for adventure-seekers. 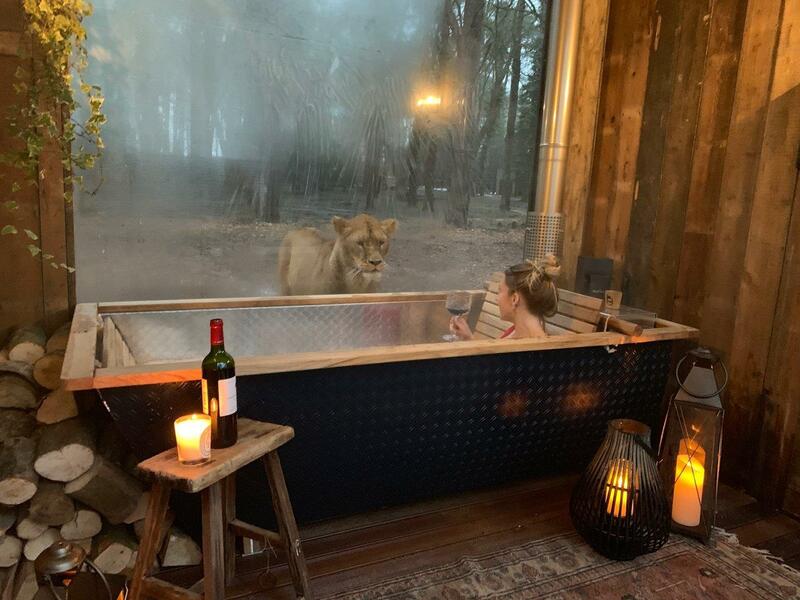 With expansive picture windows offering an incredible view into the lion’s world, Lion Lodge is a Manhattan loft-style building complete with a huge open fireplace, bespoke furniture and natural, wood-heated Scandinavian outdoor baths on secluded platforms. A bespoke bar, a 6ft show stopping chandelier, spiral staircase, private terrace and gardens, Lion Lodge makes for a truly authentic, unforgettable safari experience. 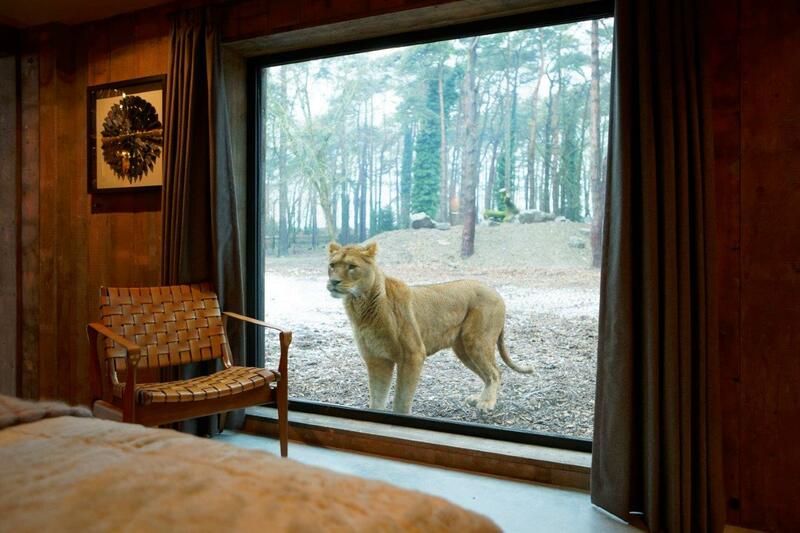 Snuggle down in your king size master suite, offering a prime view of our magnificent lions. 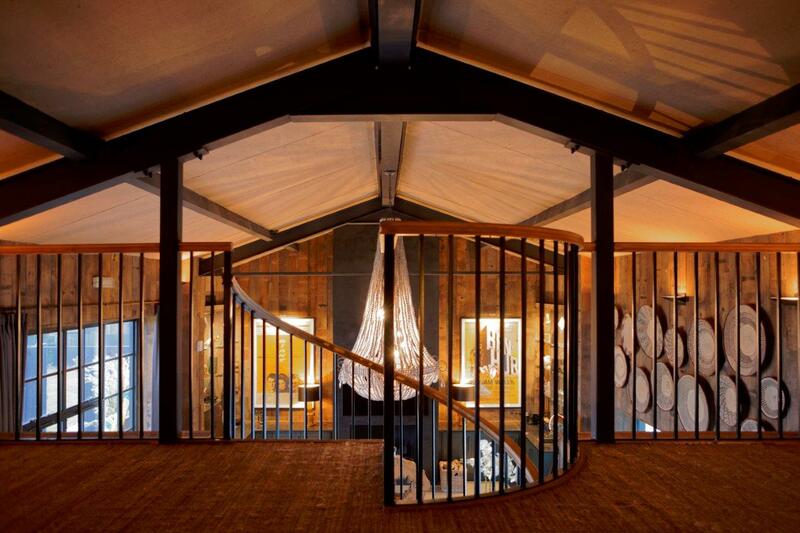 A comfy mezzanine level, accessible via a spiral staircase, offers an additional two single beds for extra guests. 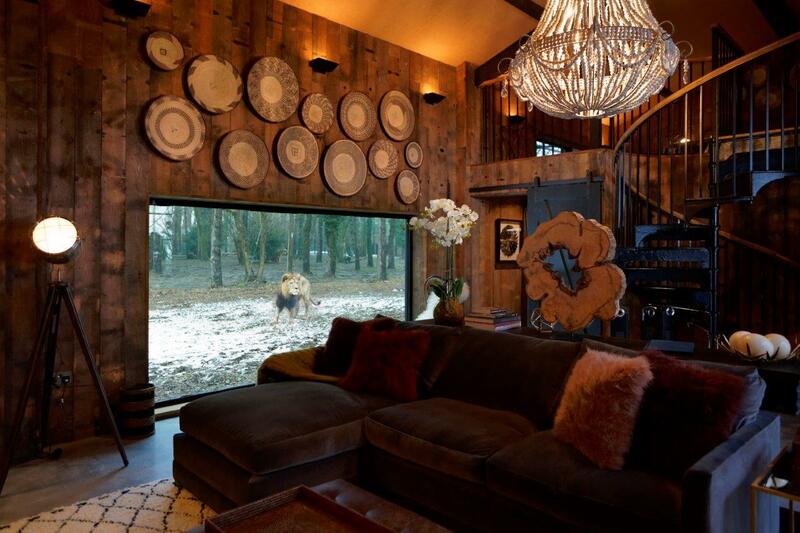 The luxury lodge also comes complete with a 65-inch TV, Bose wireless sound system and a Nespresso machine. Overlooking the whole of Port Lympne and boasting stunning sea views, you’ll also enjoy the use of your own personal golf buggy, so you can spend an afternoon exploring the reserve or simply relax in the privacy of your luxury lodge. Lion Lodge is the perfect escape, whether it be with friends or family, or a romantic break with your loved one. Unlike any other break in the UK, not only will you experience breathtaking views across Port Lympne’s 600 acres and meet our magnificent animals, but you’ll also have the opportunity to take part in once-in-a-lifetime activities, animal encounters and ranger guided safaris. And for those who like to indulge their senses, Port Lympne offers unrivalled tranquility and relaxation. Enjoy afternoon tea in the Moroccan Courtyard and toast marshmallows in private gardens, or make use of the stunning exclusive Treehouse Clubhouse. Ready to book your next escape?